You’re developing a metal medical device and balancing a budget, deadlines, design considerations, and more. Which process do you choose—stamping or machining? MD+DI asked metal manufacturing veteran Steve Santoro, executive vice president for MICRO, to compare the two processes as well as look forward to the future in metal manufacturing. Santoro has been at MICRO since 2002 and has been in the contract manufacturing industry his entire career. MD+DI: What are the basic differences between stamping and machining when it comes to medical devices? Santoro: The main determinant when considering stamping versus machining has to do with the fit, form, and function of a component coupled with the geometry of the part and material used. 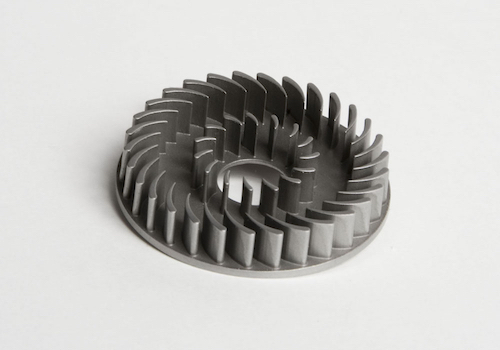 If a medical device is designed for an indefinite number of uses, then machining works best, as it produces complex parts that support durability. For products that are meant to be used just one time, stamping is a better approach as it can produce precision parts that tend to be less durable. Volume can also be a significant driver in the decision-making process. 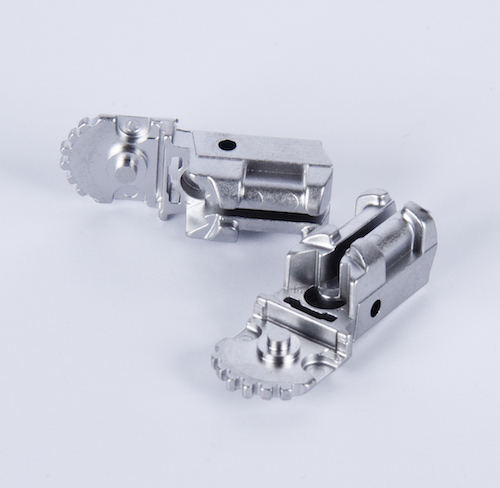 When several million components a week are needed, such as ligation clips, this can be easily achieved with stamping. To machine such quantities might require 100 machining centers. Thus, scaling to this degree with machining may not be practical in terms of capital outlay. Tooling costs are another consideration. For example, if a device requires tight tolerances of +/-0.0005 inch and has volumes of 3000-5000 pieces a week, machining usually is the technology of choice as it is more versatile and precise. Assuming the right machining center is available, it merely needs to be programmed to accommodate the part geometry. This is in sharp contrast to a progressive stamping die, which will take longer to design and build, in addition to being costlier. Part geometry is also a major consideration. There are some components that simply cannot be stamped. For example, a part made of full hard 304 stainless steel, 1/8-in.-thick with a hole that is 0.040 diameter cannot be stamped. There is no punch material that can take the load required to pierce that material at that diameter. Machining works best in this case coupled with laser technology. MD+DI: Are there any market needs/requests that could be best solved by either technology? Santoro: With the wide-spectrum of clients that MICRO supports, there are certain technologies that are more suitable to their needs and end goals. For example, stamping is valuable for clients that are designing single-use devices, as they tend to be less robust and involve significantly lower costs to build than do reusable devices. Machining, on the other hand, lends itself to the development of reusable devices as they need to withstand repeated use—though this durability tends to come at a higher cost. Metal injection Molding (MIM) or MIM plus machining offers a compelling middle ground in terms of price and durability. MD+DI: Are there any material selection differences? Santoro: Regarding whether stamping or machining is the best approach for the development of a medical device, material thickness and material hardness need to be considered for the most effective and efficient outcomes. As it relates to material thickness, for example, stamping can be limiting because thickness needs to be uniform throughout the part. With regard to material hardness, virtually any hardness can be machined. In stamping, material hardness needs to be considered more carefully given the potential for cracking during forming. Also, in many cases, titanium is the material of choice for implantables and is best for CT scanning. Titanium is available in wire, rod, and sheet forms; however, it is not commonly available in continuous strips, which are needed for most stamping operations. Material selection has its limitations. In general, most red metals, stainless steels, titanium (wire), and cold rolled steel can be stamped. The general consideration to be aware of is that the heavier the gauge and the higher the hardness, the more difficult it is to stamp. Most medical stampings are from 302, 304, 17-4, or 17-7 stainless steel. At MICRO, we stamp the full range of commercially available tempers up to and including full hard as well as thicknesses up to 0.060 in. Machining can work on all the same materials up to and including full hard temper. It also offers far more capabilities when it comes to creating complex shapes out of very thick blanks at extremely accurate tolerances from any of those materials that can be stamped. There is, however, a cost consideration with machining, as it is generally more expensive per unit. At MICRO, we have more than 50 metal stamping presses, up to a 220 ton, including over 30 Bruderer 30- to 60-ton high-speed presses running at speeds up to 1200 strokes per minute. Most are equipped with the latest sensor technology. Parts are typically supplied loose or in reel-to-reel configurations. MD+DI: Any differences in precision design or device strength? Santoro: When the product designer elects stamping, there is little room for error given the potential cost of a complex progressive die. Therefore, it is important that the designs are reviewed and approved by the manufacturer early during the design process. It should also be noted that once the product is designed using machined components, it can be extremely difficult to re-engineer the part as a stamping to reduce cost without fundamental design changes. MIM or MIM plus machining can provide a middle ground in terms of cost versus a fully machined part. MD+DI: How has each technology been modernized over the years? Santoro: Citizen has recently combined Swiss turn machining and laser cutting in one advanced machine. Particularly suited for fabricated tube production, the Citizen L200 CNC machining center combines a Swiss style 7 axis CNC lathe and an integrated 400 W laser cutter. It laser-cuts slots and holes and simultaneously machines differing outside diameters, thus reducing setup time, secondary processing, and handling costs. Robotics have been incorporated into stamping and machining centers to decrease the time that it takes and decrease human errors in repetitive tasks. MD+DI: Is either one suited better for certain secondary processes or finishing steps? 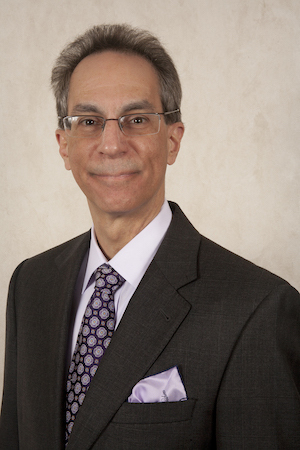 Santoro: Secondary processes need to be addressed on a case-by-case basis. This may not be not a machining-versus-stamping issue unless it is dictated and designed out of necessity because of volume and upfront cost in the product design phase. Part geometry may dictate the secondary process steps. For example, part geometry may allow bulk passivation where required, or it may dictate that parts be racked for passivation. These are very different processes with very different costs (with bulk almost always being lower), regardless of whether they are stamped or machined. Nonetheless, stamping may be better suited for secondary operations and automation because, in many instances, the part can be left on a carrier strip to facilitate automated secondary processes such as degreasing or selective plating. This also lends itself to performing a secondary operation that cannot be done in stamping such as welding on a threaded nut, adding a silver contact, laser marking, sharpening, etc. MD+DI: Are there any user challenges that can be solved with either technology? Santoro: Speed of development is improved using machined components. It is usually faster to make a design change and get development samples in a machined part as opposed to a stamped part given the lack of dedicated tooling. MD+DI: How will each technology change in the next 5 years? 20 years? 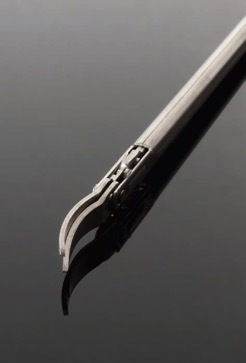 Produces highly complex, contoured, intricate shapes. Tolerances capabilities of 5 microns (0.0002 in.). Processing of Super Alloys, MIM’s components, all grades of stainless steel, titanium, aluminum, and carbide. Material removal rate (MRR) is not affected by hardness of the metal. Feed rate 0.1 – 2.0 mm/min. Roughing, finishing, polishing in one operation. Surface finish Ra ≥ 0.03 microns (1.2 micro inches). No burrs, cracking, or material deformation. No stress imparted to the work piece. MD+DI: Will 3-D printing replace either technology? Santoro: As additive manufacturing improves in quality, there is an expectation of some erosion of low-volume machining. Stamping, on the other hand, is a low-cost, high-volume process that is less likely to be affected in the foreseeable future. For more details, visit MICRO at BIOMEDevice Boston Booth #317 April 18-19.